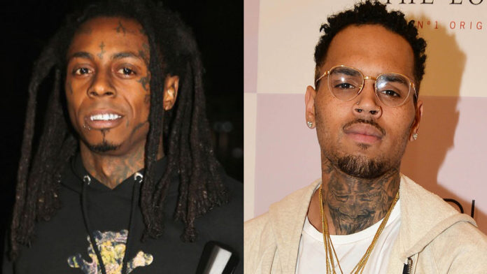 It looks like entertainers Chris Brown & Lil' Wayne could be in trouble with the law once again & it doesn't look pretty. A South Miami based music producer who goes by the name Harrison Garcia is currently standing trial for the illegal distribution of narcotics. What does that have to do with Chris & Wayne? Both music artists have been named & dragged into this crazy ordeal after U.S. Homeland Security Agent Kevin Selent has come forward making claims that that he has proof that both Chris & Wayne have purchased drugs from the alleged dealer. The alleged evidence comes from a text message that was received by a lady friend of Garcia. It contains a screenshot of a transaction that was made between Brown & Garcia that was worth $15,000. To make matters even worse, Chris has been photographed with Garcia on two separate occasions. 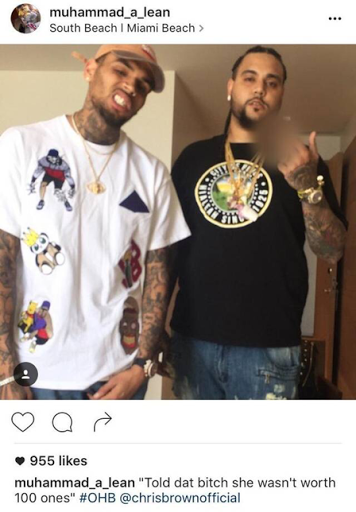 Prosecutors of the case have also submitted photographic evidence of Garcia taking pictures with Chris & Lil' Wayne. One was of him on a private plane with the r&b singer & another on a airport runway.